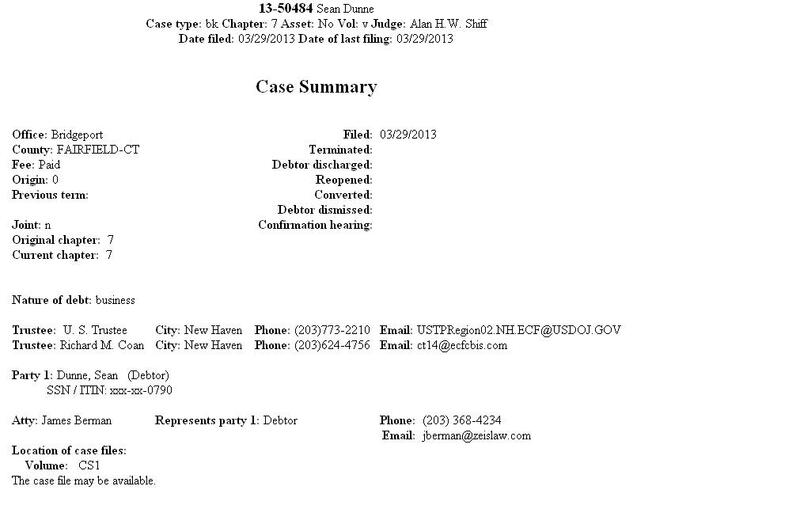 The bankruptcy application filed by Sean Dunne in Connecticut on Good Friday has finally been obtained and can be downloaded here. It’s fairly straightforward, and we don’t learn very much. Sean indicated his “estimated assets” at USD 1-10m but isn’t required by the form to provide details; he indicated his “estimated liabilities” at USD 500m-1bn (€390-780m). 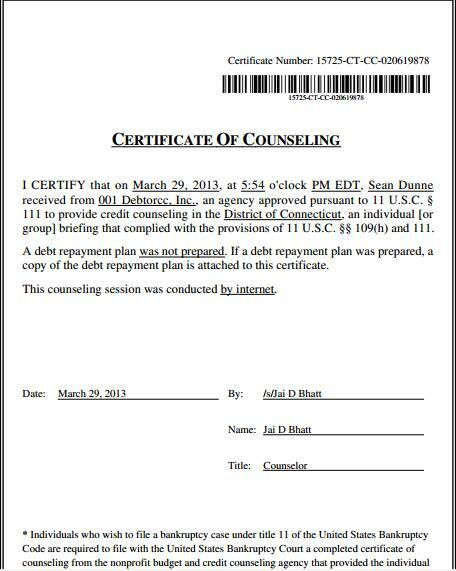 The filing also shows that Sean underwent debt counseling, as required under US law, before filing for bankruptcy and a certificate is included in the bankruptcy filing which shows that at 5.54pm Eastern Time US, a counseling session by internet from someone called “Jai D Bhatt” and that a debt repayment plan was not prepared. Given the scale of Sean’s debts, the inclusion of what appears to be a perfunctory counseling session looks almost comedic. It encompasses the great and good of the Irish professional services landscape, three county councils, a former Attorney General, both the American Internal Revenue Service and the Irish Revenue Commissioners, as well as a couple of firms beyond these shores. The list of creditors declared by Sean Dunne in his Good Friday bankruptcy filing in Connecticut is now available on the US court system – not available without a subscription. But they can be revealed here today. We don’t have figures yet so, we don’t know whom Sean owes what to. NAMA is not declared as a creditor, though it is possible that the creditor is named as the original bank. AIB, Bank of Ireland, Certus, IBRC, Icelandic bank Kaupthing Singer and Friedlander and Ulster Bank are all named as creditors. Law firms, including one on the Isle of Man, property companies, surveyor firms and building management companies are amongst the creditors. NAMA Top 10 developer, Michael O’Flynn’s flagship company O’Flynn Construction is listed. Paul Gallagher SC, the former Attorney General is out of pocket as are the top-tier law firm Arthur Cox and the lower division Beauchamps. We’re still awaiting the outcome of the make-or-break Paddy McKillen appeal in London, against a judgment which involves the Barclay brothers and their quest for control of the Maybourne portfolio of three upmarket hotels. The appeal hearing concluded in London nearly two months ago, and if Paddy loses, he faces significant legal costs and the prospect of life as a minority shareholder in a company controlled by the hostile Barclays. In Dublin this week, Paddy McKillen along with controversial businessman, Denis O’Brien succeeded in obtaining an injunction at the High Court, preventing the Irish edition of the Sunday Times publishing the results of an investigation into the two businessmen’s affairs. The Sunday Times reports on the injunction today, but it is behind a paywall, there is a sneaky photograph of the story at the Broadsheet.ie here. There was a marathon seven hour emergency hearing yesterday, Saturday, which resulted in the High Court judge acceding to Paddy and Denis’s application for an injunction. There will be a full hearing into the matter within six weeks. The case was initiated on Good Friday and the respondents are named as Times Newspapers Limited and journalist Mark Tighe. Paddy is represented by Johnsons solicitors, who coincidentally are representing Paddy in separate Dublin High Court defamation cases initiated by Paddy in January and February against companies and individuals associated with the Barclay brothers. Denis O’Brien is represented by William Fry solicitors, which is a departure from the use of Meagher’s who generally represent the Digicel chairman in his frequent run-ins with the media. We do know that both Paddy and Denis have been major borrowers at Anglo, now Irish Bank Resolution Corporation, and that, following the decision to place IBRC in special liquidation on 6th February 2013, both have a narrow window to refinance their loans out of IBRC before the loans are placed on the market, and in Paddy’s case, the Barclay brothers have made it known that they will pursue the loans and may be prepared to pay a premium above market value for the loans. We also know that Paddy has had a relationship with Denis in the past. It emerged in the epic High Court battle in London last year that “among the friends and associates who Mr McKillen said “would have delivered” financially were Denis O’Brien, a man whom he described as the “world’s greatest telecoms entrepreneur”” Paddy was talking about the financing of the Maybourne group of hotels. The temporary injunction obtained by Paddy and Denis isn’t all-encompassing, but the Sunday Times says today that it decided that it could not publish the uninjuncted parts of the story in a way which would be intelligible to its audience. So, we don’t know what the Sunday Times investigations apparently uncovered, we don’t know if it relates to IBRC or to the Maybourne hotels, but the judge concluded the reporting was capable of damaging Denis and Paddy. The hearing in the High Court yesterday might also be noteworthy for what appears to be an outrageous abuse of position by the presiding judge. Judge Colm MacEochaidh has been a High Court judge for just over nine months, having had a long career as a barrister beforehand, and gained prominence after being one of two people whose newspaper ad led to the setting up of the Mahon Tribunal into planning corruption. In court yesterday, he seemingly taunted Denis O’Brien by contrasting Denis’s rubbishing of Judge Moriarty and the Moriarty Tribunal with Denis’s present appeal to the mercy of the court to grant an injunction; after a recess, the Judge is reported to have asked if Denis’s barrister had consulted with his client on the ambivalence in position, and when told the matter had not arisen in consultations with Denis, the judge is reported to have said “it should have”. The judge ultimately declared that Denis would get the “full and independent protection of the court” but this little episode of petty score-settling surely begs questions about Judge MacEochaidh’s appropriateness to even act as a judge. UPDATE: 4th April, 2013. Dublin’s “The Phoenix” magazine today claims to know what the (presumably injuncted) Sunday Times article relates to. Given that the material is subject to an Irish injunction, nothing further is going to be said about the content here, but if “The Phoenix” is right, then WSTT is wrong below! “I have decided not to grant an injunction restraining publication of the fact that a further loan was granted to Mr. McKillen. However, I say that the plaintiff has persuaded me that the publication of information of an opinion nature communicated internally within the bank by officials is a step too far and that information should not, in my view, be published. The ‘Sunday Times’ has not persuaded me that there is a public interest in that sort of opinion on behalf of the bank. Neither am I persuaded that information relating to the commercial relationship between Mr. McKillen and Mr. O’Brien is a matter that has to be published. Those are matters which seem to me to just fall on the wrong side of the nature and extent of the sort of information that the public has a right and entitlement to know at this stage. Therefore, I grant an injunction restraining publication of information of an opinion nature communicated internally within the bank by officials as well as an injunction restraining the publication of information relating to the commercial relationship between Mr. McKillen and Mr. O’Brien. Thankfully, the troika will continue to review Ireland’s compliance with the Memorandum of Understanding, even after the last tranche of funding is handed over at the end of this year. Because, without the Troika, we would not be getting any reform of our draconian bankruptcy arrangements; it was the Troika which has frog-marched us into providing an adequate mechanism to allow seriously insolvent individuals to deal with their debts and be given a new start where they could contribute to the economy. This Government has in fact missed targets for the implementation of reforms, and even today, we have a Personal Insolvency Act which was signed into law by President Higgins on St Stephen’s Day in 2012 but it has still not been commenced. So, the three-year bankruptcy, the debt relief notices, the controversial personal insolvency scheme are all pie-in-the-sky at present though it is hoped that Minister for Justice and Equality, Alan Shatter will commence the Act shortly. Meanwhile, on Friday in the US state of Connecticut, an Irishman, developer Sean Dunne with debts of over €350m, with a cheque for USD 306 (€239) initiated a process that will last 120-150 days and may see Sean emerge financially reborn by July 2013. Sean has engaged an attorney, or solicitor as we might say, but he didn’t have to – the fee pays for the State to provide a bankruptcy trustee. Sean has been given a platform by the Sunday Independent today to set out his side of the story. In it, he says “I consider my debt to the Irish State to be cleared” after a lifetime of developing property in Ireland during which he employed hundreds and paid millions in tax and levies. Many indebted Irish people will today contrast their options with Sean’s story. So, how will Minister Shatter justify the half-hearted reforms in the new Personal Insolvency Act to the domestic audience? How can Minister Shatter defend his reforms if people with a few hundred thousands of euros debts will be put through the mill for three years and Sean Dunne, owing hundreds of millions can emerge clean as a whistle in four months? Last month, Ulster Bank made moves in Dublin’s High Court to have Sean declared bankrupt in Ireland where he would face 3-12 years before he would be discharged. Instead, it seems, he has opted for a [CORRECTION] 120-150 day bankruptcy, in the state of Connecticut in the US, which means he will be discharged by end of August 2013 at latest, unless his creditors object to the bankruptcy. Though, as we have seen in the case of David Drumm who filed for bankruptcy in neighbouring state of Massachusetts in October 2010, that US bankruptcy can be drawn out if creditors object to the process or to disclosures in the process. And in the case of Sean, Ulster Bank may claim that Sean’s centre of main interest is in Ireland, rather than the US. NAMA’s case against Sean and his wife, Gayle, currently being slugged out in the Connecticut Superior Court may need to be re-evaluated by NAMA. NAMA has previously stated that it is neutral on where one of its developers pursues bankruptcy, but plainly in this case, there may be grounds for taking a position. Sean is represented in his bankruptcy case by a new attorney named James Berman from Zeis Law, a Connecticut specialist in bankruptcy. Zeis Law says “James Berman has been named the Best Lawyers’ 2013 Stamford Litigation – Bankruptcy Lawyer of the Year” A bankruptcy trustee has been temporarily appointed and their name is Richard Coan. There are no documents filed on PACER yet, but it is hoped that they can be brought to you imminently. The news from Cyprus on Thursday suggests that banks, which opened for six hours for the first time in 12 days, experienced brisk business but there was no panicky mobbing of the banks with depositors breaching public order in attempts to get at their money. The sense imparted through the media is that there was a strong expectation of a visible meltdown, but it just didn’t transpire, which tends to augur well for the future of Cyprus. 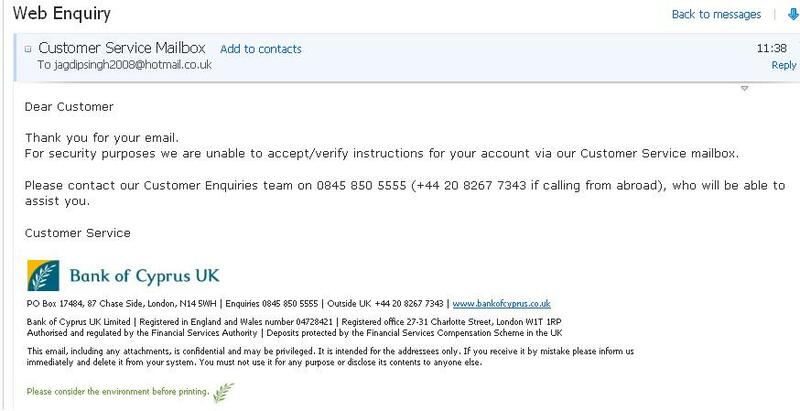 According to commenter John Gallaher who was keeping a close eye on the comings and goings at the Fitzrovia, London branch of Bank of Cyprus on Thursday, the London branch was busy and it seemed there was a steady stream of people making withdrawals. So, how much money is leaving the Cypriot banking system at present? We just don’t know and you can bet that neither the central bank in Cyprus nor the ECB will offer up this information, unless it portrays a positive message. Like our own central bank here in Dublin, the central bank of Cyprus produces monthly banking financial information, and the latest available is for the end of February 2013 which was published this week, but I cannot see in it details of ECB support for Cypriot banks. 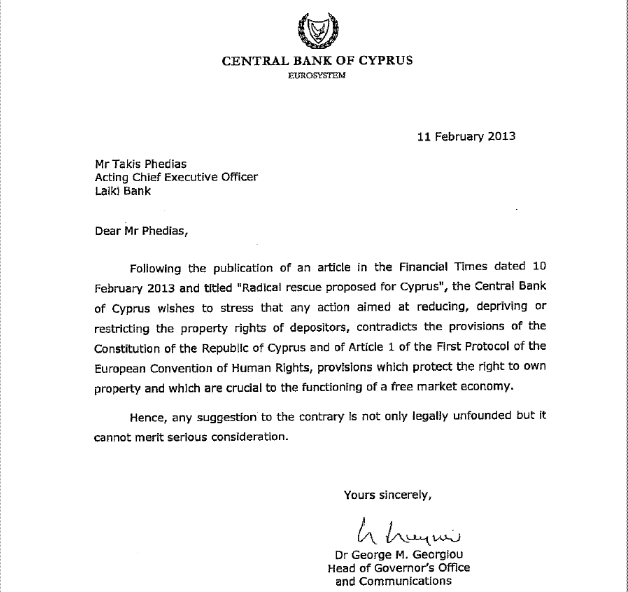 Old media reporting suggested that the ECB had lent €9-10bn to Cypriot banks two weeks ago. Haircuts on certain deposits will reduce liabilities in banks’ balance sheets which should also reduce reliance on ECB funding, but deposits flying out the door will do the opposite and force banks to seek alternative sources of cash. The view on here is that €500m per day may have been exiting Cypriot banks during the 12 day shutdown. But who knows? The central bank of Cyprus and ECB, probably, but they’re staying schtum. If the withdrawals had been modest, I would have expected a statement to that effect. So there appears to be a lockdown in effect on information. We found out on Thursday that the haircutting of deposits in Cypriot banks might be illegal and unconstitutional. We also found heard allegations of shenanigans yesterday in Greek newspapers alleging that Cypriot banks had written off millions of euros in loans to, amongst others, Cypriot politicians. Cyprus is regarded by Transparency International as the 29th most honest county in the world, that’s just four spots below Ireland at position 25, so Cyprus is no clear-cut banana republic. We are in the dark over precisely what capital controls apply in overseas branches of Cypriot banks, with a request for information and comment from here last week, met with a meaningless response. Al Jazeera is reporting that “Bankers have told Al Jazeera that they will only penalise depositors once all their liabilities have been offset against their assets.” In other words, rack up as much expenditure as possible on your credit card and you can offset that against your deposits. I wonder how many Lamborghinis have been purchased on credit card in Cyprus in the past fortnight? After all, if you have a €400,000 balance at Bank of Cyprus or Bank Laiki, it would make sense as you are facing wipeout of deposits in excess of €100,000. It remains to be seen if we will see information released by the banks. It seems Cyprus has a weak media and political opposition so idiosyncrasies over the implementation of capital controls are unlikely to be closely examined. Our experience in Ireland has told us that people are reluctant to pursue legal challenges to attempts to deal with the financial crises. So, all of this may blow over. But I wouldn’t bet on it. The fallout from the decision to place Irish Bank Resolution Corporation into special liquidation in February 2013, continues with mortgage borrowers who comprise the €1.8bn IBRC mortgage book facing an uncertain future. There are mixed messages coming from Minister for Finance Michael Noonan as to the fate of the IBRC mortgage book, but indications are that the special liquidator will attempt to sell it in one job lot. However individual mortgage borrowers with grievances with IBRC are finding that the Financial Services Ombudsman, led by understated US-born William Prasifka (pictured, above), is refusing to proceed with investigations of complaints which involve IBRC. 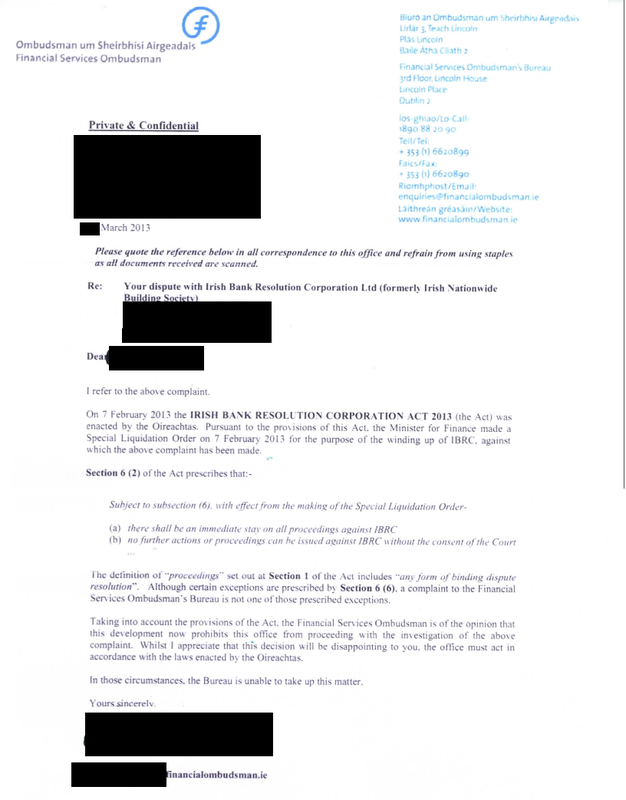 Here is a recent letter from the Ombudsman to an IBRC mortgage borrower with personal details redacted. However in the Dail, Minister Noonan is maintaining that the special liquidation does not prevent investigations of complaints into IBRC by the Ombudsman. The Sinn Fein finance spokesperson Pearse Doherty asked Minister Noonan if the Ombudsman could now investigate complaints and was told “the Financial Services Ombudsman is not precluded from investigating complaints by mortgage holders against the former IBRC” but the Minister also said that the Ombudsman was independent in how he discharged his duties. So, here we have the minister of the day holding one opinion on the legislation used to liquidate IBRC and we have the Ombudsman holding another. And in the middle is the mortgage borrower who can’t progress their complaint. This is the sort of mess that gives public administration a bad name. The full parliamentary question and response are here. Deputy Pearse Doherty: To ask the Minister for Finance if he will confirm that the Financial Services Ombudsman, due to the Irish bank Resolution Corporation Act 2013, cannot now investigate complaints by mortgage holders against the IBRC; and if he will make a statement on the matter. Minister for Finance, Michael Noonan: Firstly, I must point out that the Financial Services Ombudsman is independent in the performance of his statutory functions and it would not be appropriate for me to comment on how he performs those duties. The Irish Bank Resolution Corporation Act 2013 was passed on 7 February 2013. 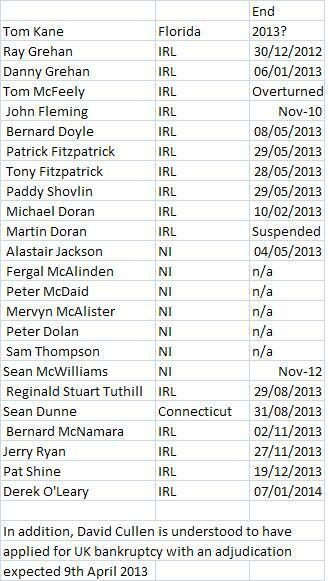 Pursuant to the provisions of the Act, I made a Special Liquidation Order for the purpose of winding up IBRC. Section 6(6) of the Act specifically provides that the making of a special liquidation order does not preclude any investigation by certain authorities, including authorities which may investigate any person under or by virtue of any enactment, rule of law or contract. The Financial Services Ombudsman investigates complaints by eligible consumers in respect of certain conduct by regulated financial service providers pursuant to part VIIB of the Central Bank Act 1942. Therefore, I have been advised that the Financial Services Ombudsman is not precluded from investigating complaints by mortgage holders against the former IBRC due to the new Act. As I mentioned, the Financial Services Ombudsman is independent in the performance of his duties and I understand that he may have taken a more restrictive interpretation of the Irish Bank Resolution Corporation Act 2013 provisions.